The Bureau of Engraving and Printing (BEP) is a government agency within the United States Department of the Treasury that designs and produces a variety of security products for the United States government, most notable of which is Federal Reserve Notes (paper money) for the Federal Reserve, the nation's central bank. In addition to paper currency, the BEP produces Treasury securities; military commissions and award certificates; invitations and admission cards; and many different types of identification cards, forms, and other special security documents for a variety of government agencies. The BEP does not produce coins; all coinage is produced by the United States Mint. With production facilities in Washington, D.C., and Fort Worth, Texas, the Bureau of Engraving and Printing is the largest producer of government security documents in the United States. The Bureau of Engraving and Printing has its origins in legislation enacted to help fund the Civil War. In July 1861, Congress authorized the Secretary of the Treasury to issue paper currency in lieu of coins due to the lack of funds needed to support the conflict. The paper notes were essentially government IOUs and were called Demand Notes because they were payable "on demand" in coin at certain Treasury facilities. At this time the government had no facility for the production of paper money so a private firm produced the Demand Notes in sheets of four. These sheets were then sent to the Treasury Department where dozens of clerks signed the notes and scores of workers cut the sheets and trimmed the notes by hand. The Second Legal Tender Act (July 11, 1862; 12 Stat. 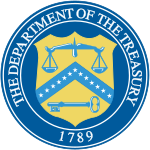 532) authorized the Treasury Secretary to engrave and print notes at the Treasury Department; the design of which incorporates fine-line engraving, intricate geometric lathe work patterns, a Treasury seal, and engraved signatures to aid in counterfeit deterrence. Initially, the currency processing operations in the Treasury were not formally organized. When Congress created the Office of Comptroller of the Currency and National Currency Bureau in 1863, currency-processing operations were nominally subordinated to that agency and designated the "First Division, National Currency Bureau." For years, however, the currency operations were known by various semi-official labels, such as the "Printing Bureau," "Small Note Bureau," "Currency Department," and "Small Note Room." It was not until 1874 that the "Bureau of Engraving and Printing" was officially recognized in congressional legislation with a specific allocation of operating funds for fiscal year 1875. From almost the very beginning of its operations, the Bureau of Engraving and Printing designed and printed a variety of products in addition to currency. As early as 1864, the offices which would later become the BEP made passports for the State Department and money orders for the Post Office Department. Passports are now produced by the Government Publishing Office. Other early items produced by the BEP included various government debt instruments, such as interest-bearing notes, refunding certificates, compound interest Treasury notes, and bonds. The production of postage stamps began in 1894, and for almost the next century the BEP was the sole producer of postage stamps in the country. 15th Street SW entrance to the BEP in Washington, D.C.
13th Street SW entrance to the BEP Annex in Washington, D.C. The Bureau's Fort Worth location, with visitor tours available during business hours. The Bureau of Engraving and Printing officially took over production of postage stamps for the United States government in July 1894. Paper currency was later produced on hand presses around 1918, utilizing plates capable of printing four notes per sheet. The Bureau of Engraving and Printing officially took over production of postage stamps for the United States government in July 1894. The first of the works printed by the BEP was placed on sale on July 18, 1894, and by the end of the first year of stamp production, the BEP had printed and delivered more than 2.1 billion stamps. The United States Postal Service switched purely to private postage stamp printers in 2005, ending 111 years of production by the Bureau. Starting in 2011 the United States Postal Service in-housed all postage stamp printing services. Plate capacity on power presses increased from four to eight notes per sheet in 1918 in order to meet greatly expanded production requirements related to World War I. With the redesign of currency in 1929, the first major change since paper currency was first issued in 1861, note design was not only standardized but note size was also significantly reduced. Due to this reduction in size, the Bureau was able to convert from eight-note printing plates to twelve-note plates. The redesign effort came about for several reasons, chief among them a reduction in paper costs and improved counterfeit deterrence through better public recognition of currency features. A further increase in the number of notes per sheet was realized in 1952 after breakthrough developments in the production of non-offset inks. Beginning in 1943, the BEP experimented with new inks that dried faster, therefore obviating the need to place tissues between sheets to prevent ink from offsetting to other sheets. The faster drying ink also enabled printed sheets of backs to be kept damp until the faces were printed, thereby reducing distortion caused by wetting, drying, and re-wetting of the paper (sheets needed to be dampened before each printing). By reducing the distortion that increases proportionally with the size of the sheet of paper, the Bureau was able to convert from 12-note printing plates to plates capable of printing 18 notes in 1952. Five years later in 1957, the Bureau began printing currency via the dry intaglio method that utilizes special paper and non-offset inks, enabling a further increase from 18 to 32 notes per sheet. Since 1968, all currency has been printed by means of the dry intaglio process, whereby wetting of the paper prior to printing is unnecessary. In this process, fine-line engravings are transferred to steel plates from which an impression is made on sheets of distinctive paper. Ink is applied to a plate containing 32 note impressions, which is then wiped clean, leaving ink in the engraved lines. The plate is pressed against the sheet of paper with such pressure as to actually press the paper into the lines of the plate to pick up the ink. Both faces and backs are printed in this manner – backs first. After the faces are printed, the sheets are then typographically overprinted with Treasury Seals and serial numbers. During Fiscal Year 2013, the Bureau delivered 6.6 billion notes at an average cost of 10 cents per note. The Bureau of Engraving and Printing has two locations: one in Washington, D.C., and another in Fort Worth, Texas. The Washington facility comprises two adjacent buildings, the elder of which is located between 14th and 15th streets SW. The architectural style of what is considered the main building is neoclassical. It has a steel superstructure with fireproof concrete, Indiana limestone, and granite trim exterior. The main façade of the building faces Raoul Wallenberg Place (15th St), the Tidal Basin, and the Jefferson Memorial, with stone columns spanning the 505-foot (154 m) length of the building's front. The building is 296 feet (90 m) deep and 105 feet (32 m) high with four wings that extend back toward 14th Street. The building is listed on the U.S. National Register of Historic Places as Auditor's Building Complex. In May 1938, work was completed on an addition to the Washington, D.C., facility to accommodate increases in personnel and production. The annex building, as it is called, is located on 14th Street, between C and D streets SW, just opposite the main building. The building is 570 feet (170 m) long, 285 feet (87 m) wide, and made entirely of reinforced concrete with a limestone façade. The structure consists of a central backbone running from 14th Street to 13th Street with five wings extending north and south from the backbone. The Washington, D.C., location offers a free 30-minute guided tour which features the various phases of currency production. Tours may be taken Monday through Friday. The Bureau is closed for all federal holidays and the week between Christmas and New Year's Day. In 1987, construction began on a second facility in Fort Worth, Texas. In addition to meeting increased production requirements, a western location was seen to serve as a contingency operation in case of emergencies in the DC metropolitan area; additionally, costs for transporting currency to Federal Reserve banks in San Francisco, Dallas, and Kansas City would be reduced. Currency production began in December 1990 at the Fort Worth facility, and the official dedication took place on April 26, 1991. Any currency printed at Fort Worth includes a small "FW", usually located to the left of the bill's face plate number, and most also have larger back plate numbers. The Bureau moved into its own building in 1880 with the completion of a facility at 14th St. and Independence Ave. SW, now the Sidney Yates Building. An addition was built on the south side of the building in 1891. The Bureau relocated to its present Washington location, just south of the original building, in 1915. A Bureau of Engraving and Printing Police (BEP) patrol car. The Bureau operates a police department, the Bureau of Engraving and Printing Police Force, that protects BEP personnel and facilities. The BEP Police are responsible for enforcing federal and local laws, Treasury Department rules and regulations, Washington, DC Criminal Code through a Memorandum of Understanding, and Texas Criminal Code. In 2004, 234 Police officers were employed. ^ "U.S. Currency". Bureau of Engraving and Printing U.S. Department of the Treasury. Retrieved March 29, 2017. ^ McAllister, Bill (13 June 2005). "After 111 Years, Postage Stamps Go Private". Washington Post. Retrieved 9 April 2012. ^ "2005 Comprehensive Statement on Postal Operations". USPS. Retrieved 9 April 2012. ^ Bureau of Engraving and Printing. "Annual Production Figures" Archived 2011-08-27 at the Wayback Machine, referenced 2014-03-11. ^ "Washington, D.C. -- Places To Tour -- Bureau of Engraving and Printing". ^ "Bureau of Engraving and Printing". Yelp. 8 November 2015. ^ "USPaperMoney.Info: Features of Current Notes". ^ Dempsey, John S.; Forst, Linda S. (2009). An Introduction to Policing. Cengage Learning. p. 63. ISBN 1435480538. ^ Reaves, Brian A. (July 2006). "Federal Law Enforcement Officers, 2004" (PDF). Bureau of Justice Statistics. Wikimedia Commons has media related to Bureau of Engraving and Printing.